Coroglen Lodge -- At the Heart of Mercury Bay! We invite you to share our peaceful country location at the base of Karina Rock, an old volcanic chimney! 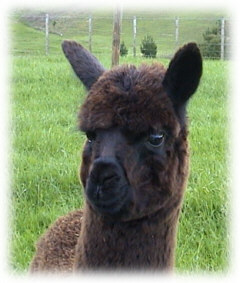 Just north of historic Coroglen along State Highway 25, we have a 17 acre lifestyle farm with cattle, sheep, and alpacas. Wendy spins, knits, and weaves with wool from her sheep and alpacas. Coroglen Lodge is situated in a relaxing rural setting south of Whitianga surrounded by farmland and nice views of the Whitianga Estuary and Coromandel mountain ranges. Our garden is frequently visited by native birds including Tuis, Bellbirds, Rosellas, Pukeko, Herons, wild native pidgeons and on still nights, we hear Kiwis call! 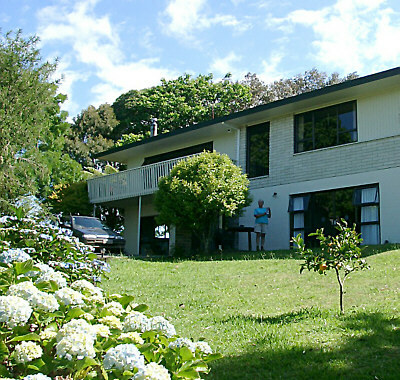 Ideally located midway between the township of Whitianga and the Cooks Beach / Hahei / Hot Water Beach recreational areas, we have easy access to all! 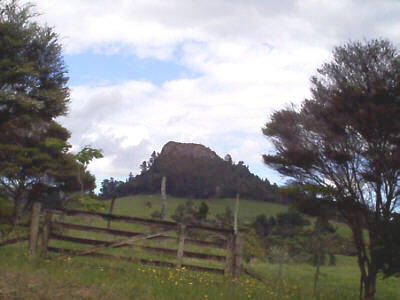 Karina Rock -- a volcano in the back yard! Our farm style accommodation consists of four bedrooms which share a common lounge with television, kitchen area (with cook top range, microwave, and refrigerator), two showers and two toilets and laundry facilities -- fully self-contained! Outside the lounge's sliding patio doors is a garden area with a view of the Whitianga Estuary. Guests are invited to utilise this area with its patio, brick barbeque and to dine alfresco if they so wish. Nigel has just completed a new building to house his many antique tractors and 1953 Plymouth. Nigel delights in showing visitors these lovingly restored vehicles. We assure your comfort and privacy in this idyllic setting. Web site: Have a look at our Cloverdale Knitwear pages.